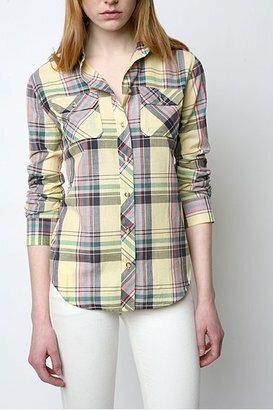 Gossip Girl's Jessica Szohr was spotted wearing this BDG boyfriend button down which costs just $39 at Urban Outfitters. 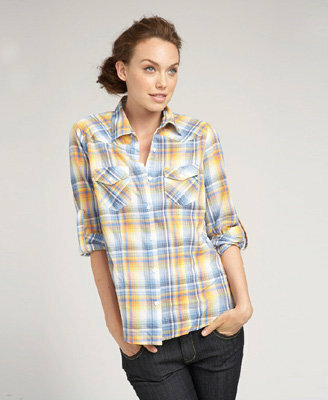 While the BDG shirt is by no means expensive, here's another option for you: It's from Forever 21, and it's just $19.80. Wear it tucked into a skirt with ballet flats now, then with jeans and boots in the fall (which is just around the corner! ).